Last week in Madrid, I had some appetizers in a restaurant with the people of EmotionExplorerLab. 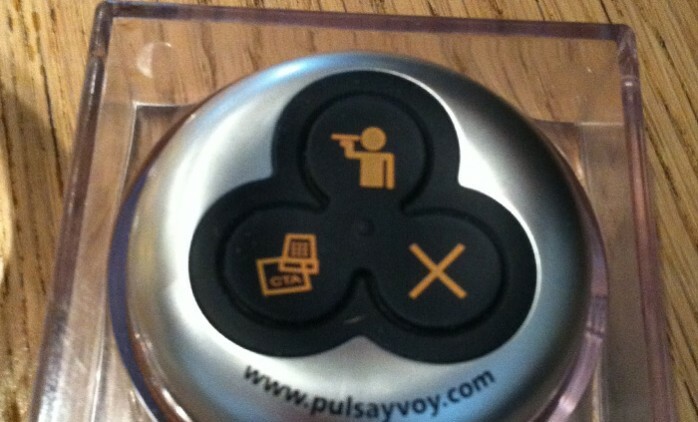 I noticed the small device on the table, illustrated on the above photo. 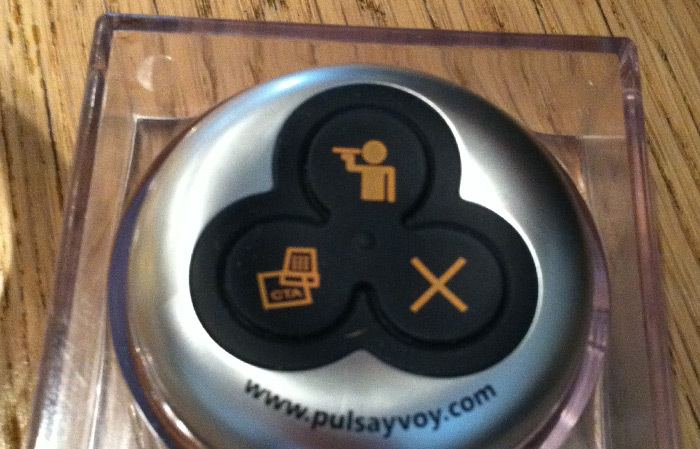 It says ‘Pulsa y Voy’ (Spanish for ‘Click and I Go’), and it gives you the option to call on the waiter. And, even better, be specific about your wish, such as for example to call for the check. After the appetizes, one click was enough to have the waitress look on her special watch and come with the check. Timing: 30 seconds. My instant reaction was: wow, this would take me at least 10 minutes in some places in the Netherlands (where the restaurant service in terms of speed and attendance is quite poor overall). 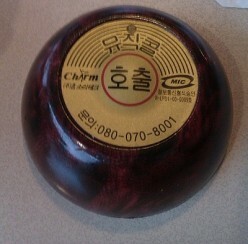 Why do Korean Restaurants us a call bell? As for the culture of Korean restaurant eating, there is no appetizer, entree, dessert type of menu. You order your meal, and you are given your food + banchan which is the Korean word for side dishes. The banchan is included with your meal. Perhaps you can think of it as small appetizers that come out at the same time as your meal. After you are done eating your food, you are usually given your check with some fruit pieces or even a cup of shik-hae which is a sweet rice drink. That would essentially be your dessert. So most Koreans just eat and leave. We don’t chit chat and linger over dessert wine and creme brulee like Westerners, at least not the older generation. The bell system is put in place so as soon as the meal is over, the customer can press the button to get their check and leave. It’s also a great tool to help restaurants provide quick service to customers without invading their privacy. Haven’t you been in the situation where your waiter comes to check on you and you have a big mouthful of food in your mouth? Wrong timing, right? It’s just an easier way to run business to call your waiter when needed. Wouldn’t a call bell in all restaurants be a welcome relief for all parties? So, despite Spanish eating culture being completely the opposite from the Korean (Spanish take up to 2 hours for lunch ;-)), the call bell also seems to work well within that context. So, I wonder, would such a simple concept work in most cultures? And, if so, why don’t we see them much more often? 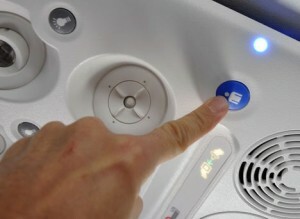 Similar concepts have proven to be successful within all types of settings (air planes for example, see image) and there are obviously many on the market. So, why isn’t it a common feature, and what is blocking it from becoming a real success in the restaurant business? It would seem to help them work more efficient and creat less irritation among both waiters and clients, wouldn’t it? I love the idea of the call bell. I love eating out with friends, but I have often been annoyed when a waiter has interrupted a really nice conversation at a really bad moment. So for that reason, I love the call bell concept. I wonder if the call bell might be perceived by different cultures as being anti-social because it introduces a mechanical device into the dining environment. It may be that in certain cultures, the call bell would appear to be cold and off-putting. However, in reality, I think the call bell would actually enhance social interaction amongst diners and between diners and waiters. With the call button, diners can take ownership of the eating out experience. The resistance to the call button might be overcome if it took a form we are all familiar with…should we be able to text our waiters if we need something?